The city of Atlanta is the home of some of the most influential rappers and artists within hip hop, they continue to birth new artists who approach music in an unorthodox manner. Over the past twenty or more years, we've seen plenty of artists who come out of Atlanta and shift the way music is made. Since it's inception in the 2000's, trap has evolved with the times. While Gucci Mane, Young Jeezy and T.I. had a major role in pushing it forward, as they sit back and let the young bulls come in, the approach to making music shifts. Among this new wave of music coming out of Atlanta, Uno The Activist has been making rounds in his region and further. 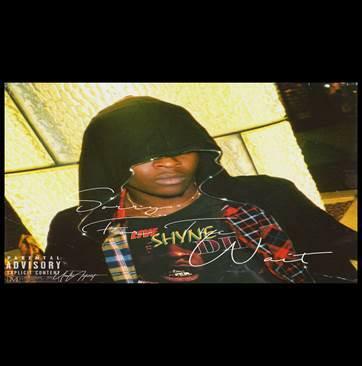 While we await his upcoming mixtape Live.Shyne.Die, today he blesses the world with a surprise EP Sorry For The Wait. The EP consists of four unreleased songs and pretty much encapsulates what we're hoping to hear off of his upcoming tape. It's a solid effort from the young emcee, who has garnered a lot of attention off of his Soundcloud releases. The project has production from Staccato as well as DjPatt and Peso Piddy. It's definitely a solid little project before the release of his mixtape. Songs like "You're Back" really showcases his vocal ability and how he uses auto-tune to stretch his voice in different directions. For anyone not familiar with Uno The Activist, he's definitely someone to keep an ear out for. He's been working with a lot of the up-and-comers in Atlanta and is constantly pushing out new music. His joint "#FREESMOKE" produced by Pierre Bourne helped launch his career further and since then he's been working with people like OG Maco, Playboi Carti, 24Hrs and Trippie Redd, among others. With Live.Shyne.Die releasing later this year, Sorry For The Wait should hold you over in the meantime.